Jump Up – out now! Or on your favorite digital service here. 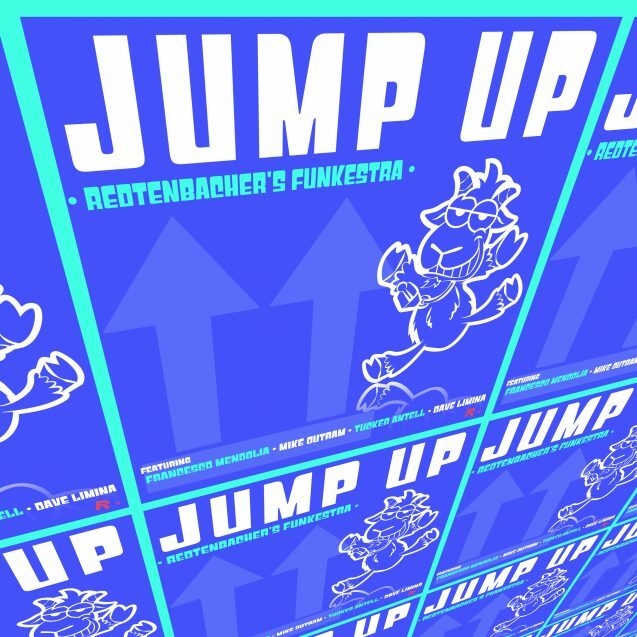 ‘Jump Up’ is another high-energy and unalloyed Funk release by Redtenbacher’s Funkestra, best-known for their bass driven original (Jazz) Funk penned by Stefan Redtenbacher. Francesco Mendolia (Incognito) is shining with a high intensity drum performance full of vigor inspiring solo flights by Hammond organ player Dave Limina and tenor saxophonist Tucker Antell. The Big Band horn sound is masterfully held together by guitarist Mike Outram, daring you to not jump up and down to this one. 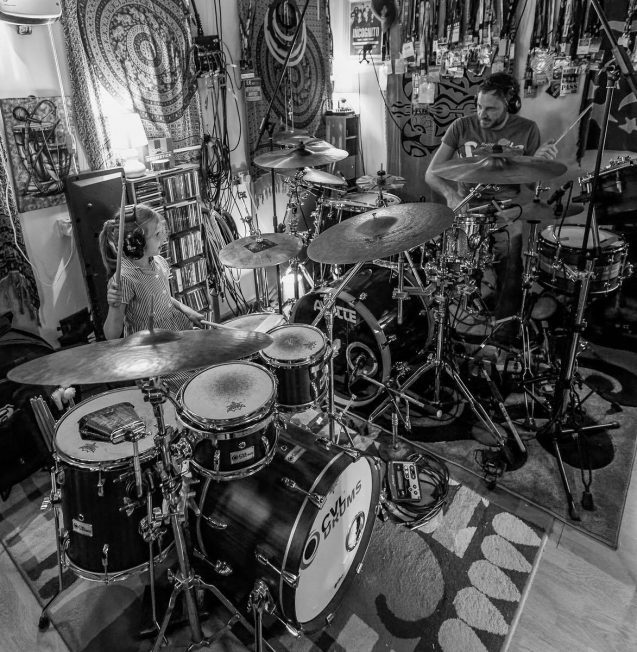 ‘Jump Up’ is propelled forward by longstanding Incognito drummer Francesco Mendolia – ever since Francesco has come to London I was digging his boundless energy and exciting drum playing – great to finally get him to play on one of my tracks! 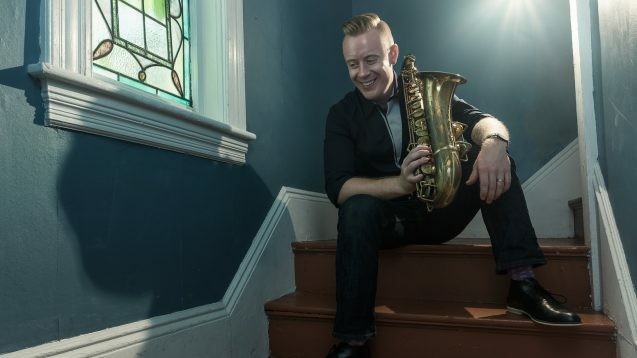 The horn section is lead by rising tenor sax player Tucker Antell and was recorded in Boston. Last spring we recorded an album for Dave Limina in Boston and it was then when we’ve met Tucker, Yauré and Angelo. There fantastic musicianship and positive energy – not least their humour (Yauré!) lead to this collaboration. Tucker added Doug, Clayton and Bill and voila – six guys in the studio recording the Big Band horn arrangement by Peter Tomasso. 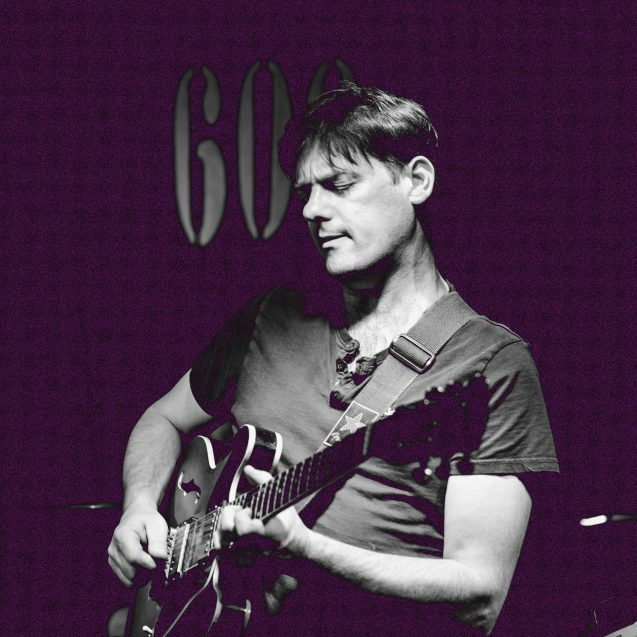 Guitarist Mike Outram has been the guitarist for the Funkestra since last spring. (Eran Kendler, our long-standing previous guitarist is currently taking a ‘sabbatical’ from live performance.) After his rhythm guitar performance on ‘Feed The Chicken’ he returns on ‘Jump Up’ with a ridiculously funky groove and some very tasty solo licks. Here is to many more to come! 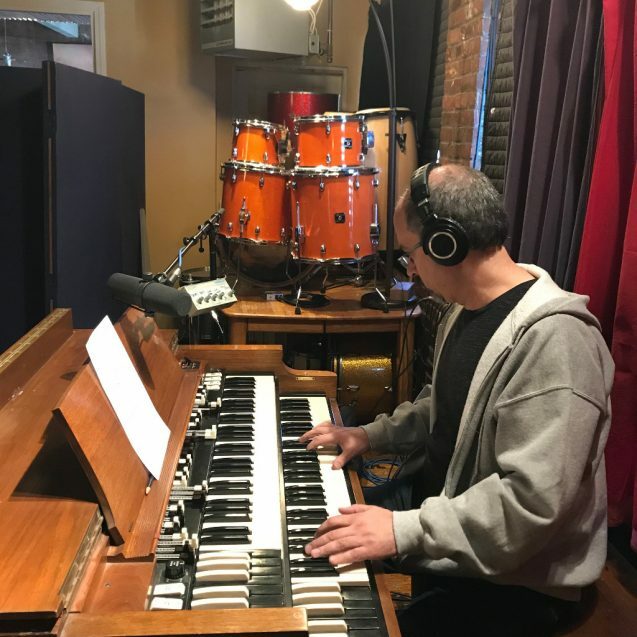 Dave Limina on Hammond organ might not need an introduction as he has been on pretty much of all the records since the 1996 ‘Boozing Wizards’ album – we’ve met at Berklee College of Music – Dave is now the head of the piano department at Berklee and looks after 800 (!) students. All the while he is keeping a busy live schedule with Ronnie Earl and the Broadcasters. Really pleased that the Funkestra rhythm section is playing on his first solo record to be released soon. It feels great to feature these four guys on ‘Jump Up’ – they are bringing their top game to the recording – of course, as every single other player on this track. Credit where credit is due – here are the names of the stellar players from the US and the UK.